Hangover Shots: Do Recovery Shots That Stop Hangover Work? Hangover shots may well be the future of medications for severe morning afters. Many hangover shots are yet to be certified as a viable solution for hangover due to many reasons such as the efficacy and safety of its content, however, considering the number of reviews reported by dedicated drinkers, there are some positive reviews on the effect of hangover shots. Homemade remedies for hangover are taking a backseat to this new scientific discovery. Even though vitamins for hangovers have always been the go-to solution, it hasn’t always been the fastest. The ever-growing need for a fast hangover cure led to the manufacturing of herbal remedies by various brands. It should be noted that various hangover shots have different mechanisms of action, some of these shot may be quite effective for some people while it may be regarded as a placebo by some other category of people. Either way, a hangover shot claims to play the role of a drip hydration therapy as well as a detox medication. Many companies advocate the effectiveness of shot that stops a hangover. Let’s take a look at how this morning after solution works. 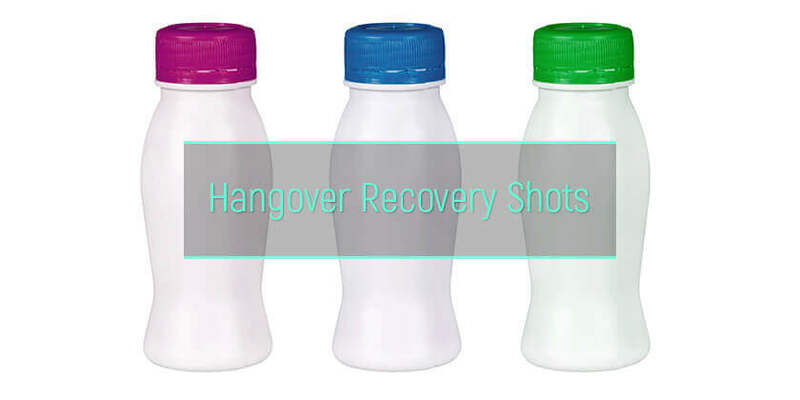 Hangover shots are action-specific beverages which are formulated to counter, mitigate, or manage the effects and or symptoms of severe morning afters. These sober up hangover cure shots are made from various ingredients such as natural herbs and other chemical compounds. Hangover episodes, after binge drinking often presents with nausea, dehydration, severe headaches, feeling of vomiting, and other symptoms. The function of an anti-hangover shot is to alleviate the sickly feeling and to detoxify and rejuvenate the system. This means that instead of spending the next morning stuck in bed with a terrible morning after sickness, one can simply down a hangover drink and be back to normal in no time. There are various types ranging from those recommended to be taken before a night out and those that should be taken after a big night out to prevent the morning after effects. Does a shot cure hangover? This new remedy is still gaining grounds, and there are still a lot of uncertainties concerning its effectiveness. There are skeptics who have been through the most severe hangovers who also ask whether taking a shot for a hangover work. To answer this question, one must take note of various factors responsible for the efficacy of shot for a hangover. These factors may include mechanism of action, and the various ingredients present in the shot. Users who were curious to know if hangover prevention shots work have reported various levels of success. It worked for most people but not all of them as systems are different and what applies for one person, often may not apply for the other. The importance of these morning-after remedies is that people now have effective options on how to get over a hangover whenever they necessary allowing one to participate in a full night’s event without the fear of missing out. Let us look at a review of popular hangover drinks that are currently in the market. Disclaimer: The reviews, information, and analysis of all hangover products shared are strictly based on manufacturer claims, as well as a wide number of reviews by users. 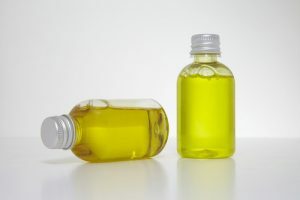 The results, however, may differ from one individual to the other as there are many other biological factors that may influence the results of these products in the body. Morning Recovery is essentially a supplement made for a hangover after drinking. This product is engineered to keep one agile and healthy after a big night out with lots of alcohol inclusive. DHM is the secret ingredient extracted and utilized to increase absorption in the gut as well as complete detoxification. It contains essential electrolytes combined in adequate proportion replenish and rehydrate the body. The hangover recovery shot contains Vitamin B complex, green tea extracts, ginseng, prickly pear extract, Vitamin C, and more. The advantages include a highly effective DHM formula and a sweet flavor. There are no downsides for this product based on popular reviews. This product is TSA- compliant unlike most similar products and goes for $34.19. People who need the best thing for a hangover may consider the natural flavored gluten-free option that is effective for severe morning afters and is 100% healthy. It prevents alcohol flushes, revitalizes the system and contains vitamins and minerals which replenish lost electrolytes. It contains Vitamin B, Amino acids, milk thistle and a liver detox formula with Dihydromyricetin (DHM). It utilizes amino acids to regulate the breakdown of alcohol, minimizing the number of toxic byproducts produced. This product is also highly effective as it claims to alleviate Asian glow. It is quite delicious and can be mixed with cocktails and other drinks. It costs $29.95 for a set and $4.99 per unit. Drinkade is a gnc hangover shot that has increased in popularity over time. Some acclaimed professionals believe that this product could be one of the most effective for a big jumpstart after a night of binge drinking. Reviews claim that it literally brings one to life with its 189 mg of caffeine, green tea extract, essential vitamins, Aloe Vera (aids digestion and rehydration), Gotu Kola (improves health of the liver and blood circulation), milk thistle( detoxifies and regulates body fluids), green tea extracts (soothes nausea and improves circulation), Potassium ( rehydration and muscular functions), and other energy boosting and detoxifying agents. This brand can be found in GNC stores and has an affiliation with the popular Gavin Maloof hangover shot brand. It can be taken before, while, and after drinking with no side effects. It’s liver detoxification and rehydration process is safe and healthy. This therapy goes for $39.49 for a pack of two. Users of this product claim that the refreshing taste of the sweetened cleanser makes it quite pleasant to drink. As its name implies, this oxygenated morning after therapy is a hangover shot through the gut, made to help process toxins of alcohol breakdown quicker and replenish lost minerals, vitamins, and electrolytes in the body. This product stands out from other shot hangover cure with its non-carbonated fruit flavor and 140mg caffeine and double the amount of electrolytes found in sports drinks. It is known for its great taste, works effectively and goes for $44.99. It comes in 5 different flavors as well. The rapid rehydration mechanism of the Lyteshow with it’s non-sweetened, zero additive liquid concentrate is built to provide fast relief from nausea, and sickly feeling that comes with the dawn after a night of binging on grape-based alcoholic wines. It contains zero calories, gluten-free and safe for vegans. A great taste isn’t exactly the forte of this product; however, it packs a jolt of electrolyte that revitalizes the system, especially when the diuretic nature of alcohol has recurrently drained all the water and minerals from the body. On the down side, Lyteshow is high on Zinc (2mg- 10% DV). Hence, people with Zinc sensitivity may have to consult a medical professional before indulging. This product is highly rated by users and can be purchased at $15.99 for a set and $7.99 per 3 Rip packs. The Life Support Recovery Shot is a morning after prevention beverage like any other. What makes it exceptional? It contains extracts from Japanese raisins, amino acid, essential vitamins and a principal ingredient known to be highly potent- Hovenia Dulcis. Its apple flavor makes it appealing, and it prevents hangover headaches as well as other symptoms. The Japanese raisin is reported to increase metabolic processes during alcohol breakdown. According to users, Life Support does not only revitalize the body; it also neutralizes the toxic byproducts formed in the digestion of alcohol. Based on popular reviews, this is one hangover shot that works. As its name implies, “Sober Up” allows catching a quick detox to escape a hangover. This product claims to be effective within 20 minutes. It contains all-natural ingredients with no preservatives and no caffeine. This product is made with turmeric roots, Chinese salvia, ginseng, wormwood, and over 14 herbal ingredients. One or two bottles is recommended along with 12oz of water; this could either be before, during, or after a night out. The taste may not be so great, but it is reported to be quite effective. Sober Up sells for $30. The highly rated morning after shot claims to be one of the best hangover shots in the market. The product comes with great flavor, making it easier to gulp down. It contains ingredients such as Kudzu mixture, caffeine and fruit extracts, Vitamins, and other natural ingredients. These ingredients contribute to full-body detoxification and suppression of morning-after symptoms. While the product energizes and nourishes the body, eliminating byproducts of alcohol, it may also present with a bit of jittery feeling. This, of course, varies with the individual and other characteristics. The price tag on hangover Joe’s reads $48.00 for a set of 24 bottles while one single drink is $2.00. According to popular First Aid Shot Therapy hangover reviews the product is a fast acting FDA compliant Morning after remedy which provides an easy, fruit-flavored way to mitigating hangover symptoms. It replenishes the body’s vitamins and electrolytes to provide energy and relieve pain. The First Aid shot comes with two main ingredients: choline salicylate and caffeine. It is highly effective and comes in berry flavor. Every strong drinker understands the pain of morning sickness and how often they have to allow this happen just to be able to participate actively in night outs with their favorite alcoholic beverages. NANO, as a top-rated hangover cure provides a backup plan for these situations; its advanced technology expedites absorption processes and allows complete systems detox. NANO gives one that fresh start in the morning that you need when you need to get some work done after a night of partying. NANO recover contains carnitine, Reishi mushrooms, ginseng, milk thistle, multivitamins and essential minerals needed to revitalize the system. It improves circulatory mechanisms and increases energy. There are no reported downsides to this product. It sells at $21.38 for a set of 5 and $4.28 per count. The energy shot known as “Last Night’s Mistake” allows one plan for tomorrow’s busy business schedule even after a night of heavy drinking. Byproducts of alcohol metabolism are broken down to harmless substances by the leading amino acid ingredient. The Vitamin B complex content plays its part in replenishment and boosting of energy. The product also contains 230 mg of caffeine as a powerhouse improving stability and mental alertness. There are a good number of positive reviews for the efficacy of this product with no little or no negative feedback. The cost for a unit of the product is $3.17 while a set of 12-pack costs $37.99. The tagline for this drink may as well read “preparation for functions” due to how effectively it plays its role and a system stabilizer. One can easily avoid the repercussions of partying too hard with a single bottle of this product before immersing self in alcohol. Only very few mornings-after prevention beverage can boast of the numerous applications that NOHO hangover drink can. It is not just a solution to hangovers but also for jetlags and regular fatigue. The top-rated liquid defense against the morning after is low in sodium, completely sugar-free and very healthy. So how does this wonder drink work? It supports detoxification in the liver, lymphatic tissues as well as the gastrointestinal tract. It also acts as an antioxidant by eliminating free radicals produced in the body. 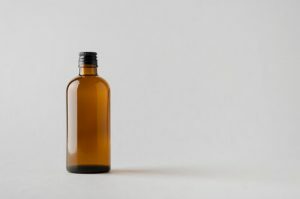 The mechanism of action of its various ingredients acts together to neutralize toxic byproducts called acetaldehyde formed in the breakdown of alcohol in the system. NOHO also acts as a cleansing and rehydration agent, infusing the system with electrolytes which are required for energy. Just like many hangover drinks out there, it is low sodium, gluten free, and sugar-free. So what ingredients are responsible for its exceptional efficiency? Ingredients include: prickly pear extract, ginger root extract, and minerals such as potassium, zinc, iron, magnesium and essential vitamins. All these elements work together to revitalize the body, boost the immune system and increases energy levels. NOHO costs $21.96 for a 6-set and $41.98 for 12-set. There are many brands of morning-after solutions out there, and while many of them can be very effective, some of them are not. Their level of efficiency may depend on individual systems or the manner, and duration by which they are taken. It is also noteworthy to understand that as one ages, the effectiveness of these hangover beverages may decline. Some of these hangover prevention drinks contain certain ingredients that may be controversial such as green tea and taurine which may increase blood pressure significantly. Some herbal mixtures may also pose a problem or incite an allergic reaction on individuals who may be intolerant. It is always best to seek the consult of a rehabilitation medical professional for advice before indulging in these morning-after solutions. Regular consumption of hangover shots may mask the developing addiction that requires alcoholism treatment.